Black Merlin - Void. Vinyl LP. Bleep. Black Merlin’s fourth EP of the year - and second for Berceuse Heroique - is another unique set of productions from this singular producer. Void’s tracks all have a mysterious, unknowable quality to them that is strangely hypnotic. 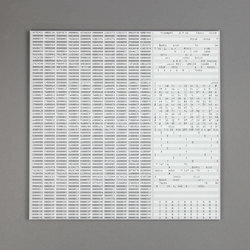 Be they ominous ultra-minimal techno numbers (‘Machine’, ‘R24’), drumless modular exercises (‘Mod’, ‘Mechanic’) or synthetic ambiences (‘Voice’), everything here is eerily arresting. You’ll find yourself listening to the tracks over and over again in an attempt to get Void to reveal its secrets.